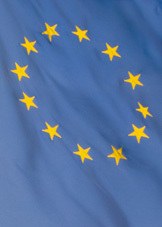 The 2012 Nobel Peace Prize was awarded to the European Union (EU) "for over six decades contributed to the advancement of peace and reconciliation, democracy and human rights in Europe". The Norwegian Nobel Committee has decided that the Nobel Peace Prize for 2012 is to be awarded to the European Union (EU). The union and its forerunners have for over six decades contributed to the advancement of peace and reconciliation, democracy and human rights in Europe. In the inter-war years, the Norwegian Nobel Committee made several awards to persons who were seeking reconciliation between Germany and France. Since 1945, that reconciliation has become a reality. The dreadful suffering in World War II demonstrated the need for a new Europe. Over a seventy-year period, Germany and France had fought three wars. Today war between Germany and France is unthinkable. This shows how, through well-aimed efforts and by building up mutual confidence, historical enemies can become close partners. In the 1980s, Greece, Spain and Portugal joined the EU. The introduction of democracy was a condition for their membership. The fall of the Berlin Wall made EU membership possible for several Central and Eastern European countries, thereby opening a new era in European history. The division between East and West has to a large extent been brought to an end; democracy has been strengthened; many ethnically-based national conflicts have been settled. The admission of Croatia as a member next year, the opening of membership negotiations with Montenegro, and the granting of candidate status to Serbia all strengthen the process of reconciliation in the Balkans. In the past decade, the possibility of EU membership for Turkey has also advanced democracy and human rights in that country. The EU is currently undergoing grave economic difficulties and considerable social unrest. The Norwegian Nobel Committee wishes to focus on what it sees as the EU's most important result: the successful struggle for peace and reconciliation and for democracy and human rights. The stabilizing part played by the EU has helped to transform most of Europe from a continent of war to a continent of peace. The work of the EU represents "fraternity between nations", and amounts to a form of the "peace congresses" to which Alfred Nobel refers as criteria for the Peace Prize in his 1895 will.